Richie McCaw, Dan Carter: Respect! Features: Has the time come for change in Christchurch? Super Rugby Round 17 did what the previous two months worth of action couldn't; it narrowed the field of contenders back to just six. It seems we've been running with 10 and 11 teams in contention all season, and even last weekend we still had nine teams in the hunt. Now it's just six, but there's still a lot to play for this weekend; five of the seven games can have some degree of impact on the final placing of teams two to six. At this point, we'd normally mention a few things that stood out in Round 17; but we're going to do things a little differently this week. The Crusaders will, this weekend, bid farewell to a couple of genuine modern legends of the game. The class of Richie McCaw and Dan Carter was evident from the day they first pulled on the red-and-black, and later, of course, the All Blacks jersey itself. In this special edition of Three Points, we've handed the column to three men who witnessed these two giants of the modern game from very close quarters. When Richard McCaw first stepped onto the field as a Crusader, the team was five seasons old and had already won Super Rugby three times. By the time Daniel Carter 'arrived', two years later, four of their seven titles were in the bag. Yet, even allowing for the dynasty-building deeds of their forebears, theirs are still the two names most linked to the way the Crusaders are viewed both, nationally, and even more so, globally. McCaw himself recently referenced to me the class of 2002, of which he was a part, taking out the title unbeaten. This came after serious doubts had been cast on the future by the departure of the three-time title-winning skipper, current coach Todd Blackadder, at the end of the previous year. McCaw, and then Carter, just happened to be a part of that next installment of the Crusaders history. "It remains to be seen whether the quality, both as players and as leaders, remotely touches their standard, among their successors. Nor has either of their stories been long and preordained triumphs. Carter occupied the same No.10 jersey at Christchurch Boys' High School as did Andrew Mehrtens and Aaron Mauger before him, and Stephen Brett and Colin Slade after, but that provided no free rides: he missed out on national schools and national under-21 selection before the rest of the country finally woke up to the talent those in the know in Canterbury already knew. The Highlanders overlooked the future 'Sir' Richie when he left Otago Boys' High School, which is how he ended up in Christchurch. 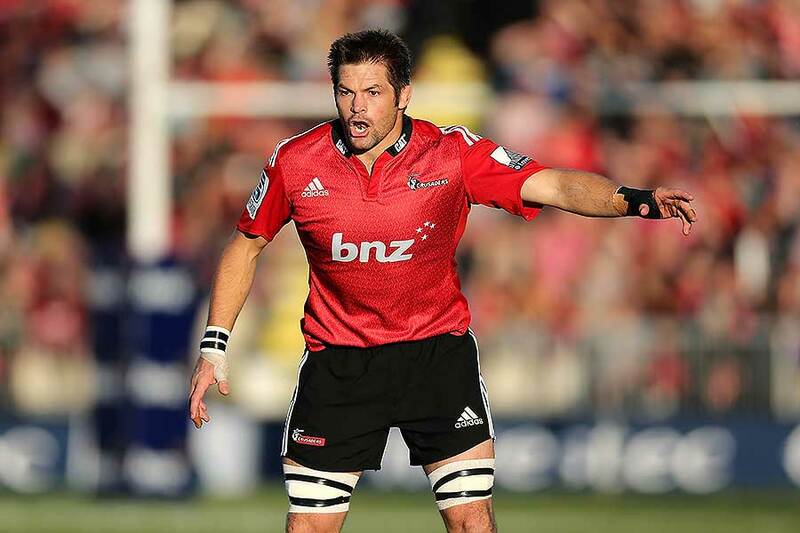 The first eight minutes of his Super Rugby career then came in one of the worst home defeats the Crusaders have ever endured, when they shipped 41 against the Hurricanes in 2001. His 100th appearance was tainted by a 42-14 spanking in Cape Town. Indeed, it's not beyond the realms that Super Rugby career could also end for him on a losing note, given the Crusaders are this weekend facing a pretty fair Brumbies side, at a venue where they usually struggle. The Crusaders are not just losing two once-in-a-generation players, who remarkably turned up at the same time. They are also losing two pretty exceptional individuals. Both have lived most of their adult years in the goldfish bowl that is New Zealand rugby, but, as men, you'll never hear a bad word said about either of them. They are close, but are very different personalities: Carter more into the glamour while McCaw is the more practical of the two. That difference is probably summed up by the manner of their respective finishes. While Carter will next year be delighting in the swanky cafes and social glitz accompanying life as a high-profile Parisian, his former skipper will most likely be soaring to new heights at home in his pursuit of a commercial helicopter pilot's licence. Richie came to the Crusaders as a really young man, and even then you could see that he really had something. He was an annoying pest at the breakdown, but you could tell he was quality and he's become perhaps the greatest All Black of all time. I remember clearly, the Crusaders were having a practice run with the colts side, an under-20s or -21s side, and there was this was this annoying little kid who kept stealing all the ruck ball during training, and he received quite a bit of 'treatment' during that session; knees, elbows, everything. But he took it all, and you could tell straight away. And within a month or two, he was in the Crusaders team. I played very briefly with Dan with Canterbury - I finished with the Crusaders in 2002; Carter debuted in 2003 - and again, when he came onto the scene you could tell that he was going to have a really special career. Probably a good example of someone who didn't make all the age group teams and just kept working away at his craft, and as his maturity and physical size evens up, he comes through. He kept toiling away, and then at 19 and 20, he flourished, and obviously he's gone on to become the greatest point-scorer in All Blacks history. They're both very humble, just good characters. I use them as a great example for the players I coach, around just how planned and how methodical they were in their preparation - and I'm sure they still are. The way they set up their week, to prepare for a game; they're two leading examples of what they can do. You don't necessarily need to have a lot of talent, but if you apply yourself and work hard, you can achieve great things. I think they're two people who have done that, and consistently performed for years. And that is the mark of champions." Their class was there from day one. 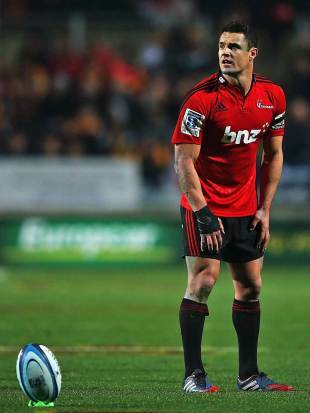 Dan Carter, he was playing a bit of 10 and 12, but mostly 12, but yeah, very talented. Had a lot of time, played with a lot of time on the ball. Defensively really good, and had all the skills. He was certainly a cut about the other five-eighths running around at the time. And then Richie was the same. He was tough, fit, uncompromising, super competitive. And then just ... very clever at what he did. It's a little easier to prepare for them as a coach, because they're a little bit older now. They're still quality players, but they've just lost a little bit of speed. They still read the game really well, though. But, yeah, at times when I was playing against them I'd get caught up and worried about how good they were or what influence they'd have on the game, whereas nowadays you have a little bit more perspective on what really changes the game. And it's not necessarily one individual, it's how they combine within the team, and I guess that's how we look at them now. We're still looking at their strengths, but we're looking at how their involvement in the game affects their team's performance. Their presence this season just adds confidence to players around them. They're super competitive, very skilful, and their understanding of the game is top notch, which is ultimately the reason why they've been so successful when they've played. And that gives the younger players confidence. Best I played against? I had a couple when I was playing, and they were normally New Zealanders. Christian Cullen, when I was playing full-back, I thought he was the best player in the world, and then it became Andrew Mehrtens, and then, yeah, Dan Carter, though I was maybe past my prime at that stage [he jokes]. He was certainly right up there as the best five-eighth in the world. And then Richie was just a bugger to play against. You don't get athletes like him who are, not necessarily the fastest, but know how to get the ball. George Smith is another one like that, really. Knows where to be and how to get there, and then at the breakdown, he was just a special player. He is a special player still.